Hello and long time no talk! It’s been a busy few days since we just got back from vacation last week which means it’s time to recap all of the fun we had over in Europe! I’m going to break down our vacation day by day so here we go with Day 1 in London! 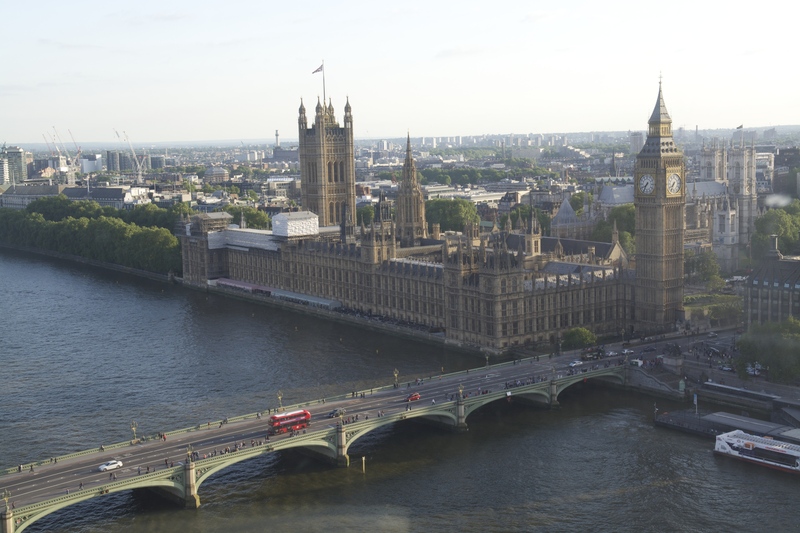 Our flight left on Memorial Day and we flew overnight to London. I tried really hard to get some sleep on the plane but no luck for me which meant I had to push through a few sleepy walls I hit throughout the day on Tuesday. We landed at 10:45 am which meant we still had all day to play and explore. 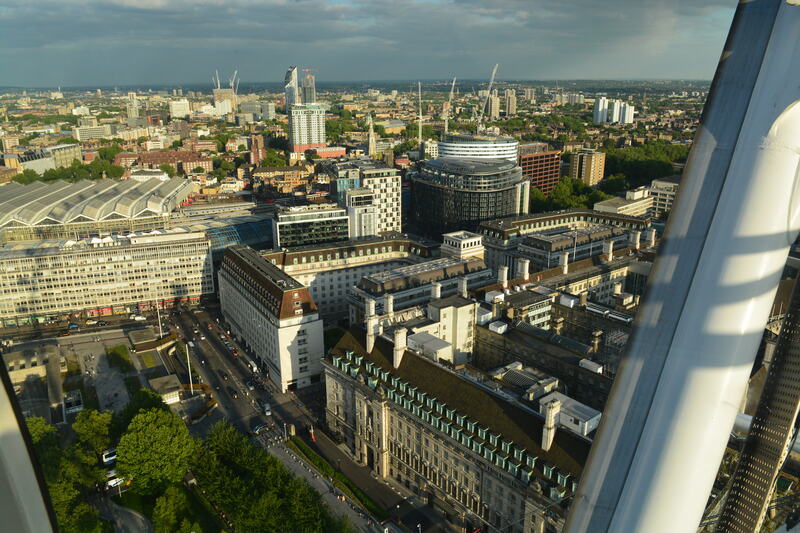 I was mesmerized by the size of the city as we flew over London. It is absolutely HUGE which seemed a little daunting but we found it was super easy to get around via the Underground Tube. We stayed at the St. Pancras Renaissance Hotel which is connected to the international train station. It’s a really nice hotel and since it was also next to the Underground Tube station, it made getting around London super easy. After checking into our hotel and changing into some fresh clothes, we were off to explore the city. Tuesday May 26th was also our 2 year wedding anniversary so we went to a special afternoon tea at The Berkeley Hotel. 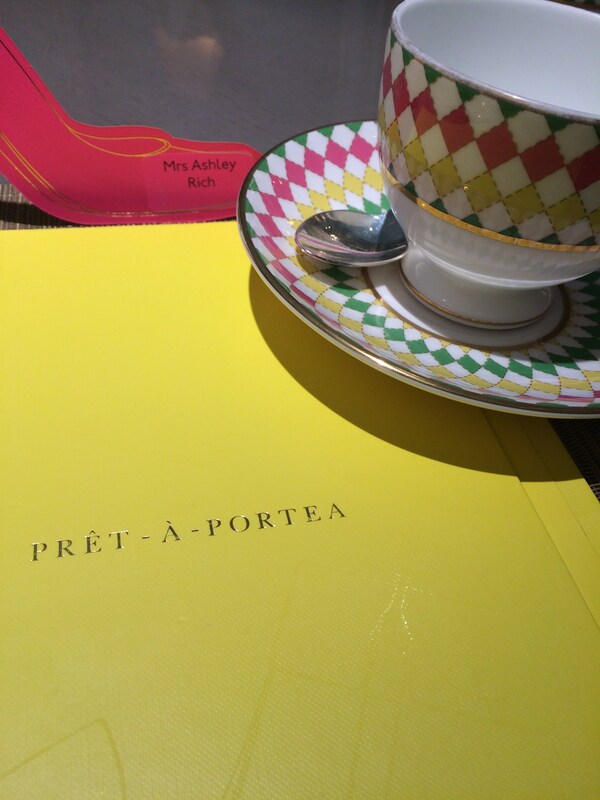 One of my friends told me about their afternoon tea which is called Pret a Portea and is inspired by the latest fashion designers and their seasonal fashion collections. We started out with a variety of finger sandwiches and other small snacks. The sandwiches included a chicken salad, salmon, cucumber and a beef option. Since my body was still on Central Time Zone time, my little tummy was grumbling and I happily ate everything in front of me…well almost. There was some relished tuna that I just did not care for along with some chilled beet soup which was not my cup of tea. Then it was time to dig into the deserts! All of them were so adorable that I didn’t want to eat them because they were so pretty! There were cookies made to look like shoes, cakes that were mini purses and parfaits that had the colors of the summer trends. My favorite thing was a mint parfait as well as the sparkly, shoe cookies! I thought this was a really fun way to celebrate our anniversary in proper London fashion. It was also a nice, relaxing way to spend the afternoon after traveling 5,000+ miles. 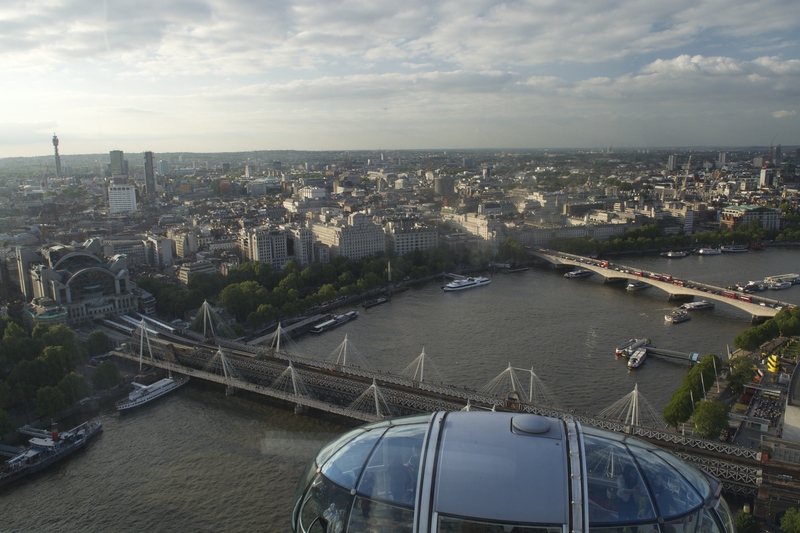 After that we headed over to the London Eye. The Eye is really neat to see and photograph from far away, but sadly we weren’t impressed once we got on it. The view from above isn’t much to write home about. 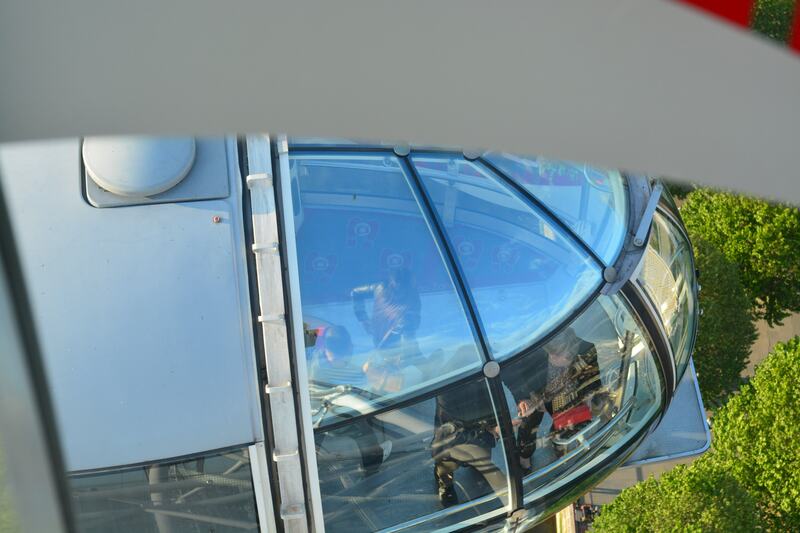 And I also freaked out a little bit as we went up and up into the sky because I’m terrified of heights. Since the sun didn’t set in London until after 9pm, we had plenty of time to keep exploring. We just started to walk around and see where the night led us. one placed we stopped was at Fortnum and Mason because I heard they had really good macarons there. My husband and I fell in love with macarons a few years ago while in St. Maarten and we are always on the hunt for the best one to eat. We got a few different macarons to take with us including a blood orange, red velvet (SO GOOD! ), brownie, watermelon, mixed berries, white champagne and salted caramel (always our favorite flavor). We ended the night by walking around the Piccadilly Circus area and we ended the night at a pub near our hotel where we dined in true London fashion on fish and chips and Shepherd’s Pie. I love me some fried fish but this Wisconsin girl prefers a good ole Friday Fish Fry to the kind in London.